Expedia has some fantastic Andalusia travel packages Combining your bookings is one of the simplest ways to save time and money — and get your journey off on the right foot. Gain savings of up to 55%* when you book your package deal on Expedia. With more than 400 partner airlines and 321,000 properties worldwide for you to choose from on our extensive database, you'll be heading off on your next holiday in no time! You can delay your holiday reservations with us because we don't charge cancellation fees for almost all of our reservations. Preparing to jet off on your Andalusia holiday? Wondering what things to put on your travel programme? No need to stress — we'll give you a few suggestions. Rock climbing is a popular activity and an excellent excuse to head out and discover more of the wider region. Still have time on your hands? If you'd like to double the fun factor, also make plans to go hiking. After luxury getaways and cheap holidays in Andalusia? Unfortunately, accommodations are scarce. But, if you don't mind commuting a little further away, you'll discover as many as 5 options close by. 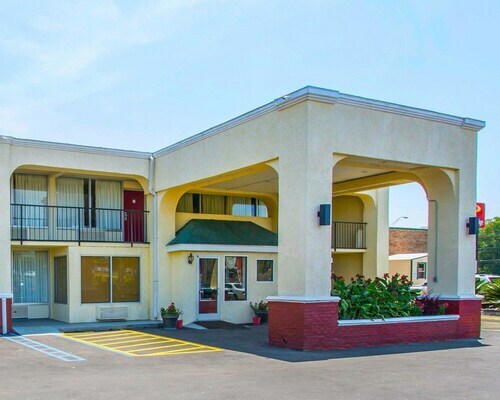 From the comfort of the Holiday Inn Express Andalusia (16727 US HWY 84) or the Quality Inn (1311 Martin Luther King Expressway), you can see everything the neighbourhood has to offer. Landing at Northwest Florida Regional Airport (VPS)? It's located 55 miles (89 km) to the south of the heart of this area. Time to collect your bags and get your trip to Andalusia started! 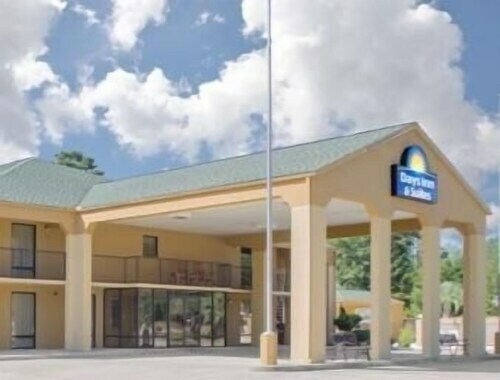 Situated in a rural location, this hotel is 1.8 mi (3 km) from Lurleen B. Wallace Community College and within 12 miles (20 km) of Frank Jackson State Park and Point A Lake. Frank Jackson State Park is 11 mi (17.8 km) away. Situated in Andalusia, this hotel is 3.8 mi (6 km) from Lurleen B. Wallace Community College and 10.1 mi (16.3 km) from Point A Lake. Frank Jackson State Park and Frank Jackson State Park are also within 20 miles (32 km). Situated in Andalusia, this motel is 0.5 mi (0.8 km) from Lurleen B. Wallace Community College and within 12 miles (20 km) of Point A Lake and Frank Jackson State Park. Frank Jackson State Park is 12.5 mi (20.2 km) away. Located in the heart of Andalusia, this motel is 0.8 mi (1.3 km) from Lurleen B. Wallace Community College and within 12 miles (20 km) of Point A Lake and Frank Jackson State Park. Frank Jackson State Park and Evergreen City Hall are also within 32 miles (52 km). 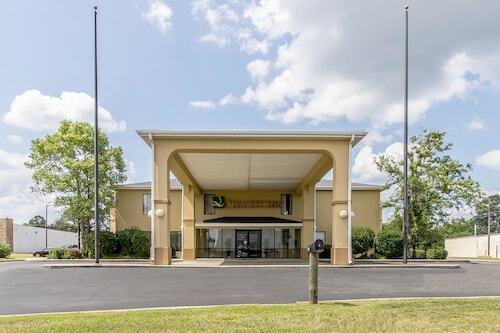 Situated near the airport, this hotel is 0.7 mi (1.1 km) from Lurleen B. Wallace Community College and within 12 miles (20 km) of Point A Lake and Frank Jackson State Park. Frank Jackson State Park and Evergreen City Hall are also within 32 miles (52 km). Situated in Evergreen, this hotel is 0.4 mi (0.7 km) from Reid State Technical College and within 3 miles (5 km) of Morgans Pond and Evergreen City Hall. Country Club of Brewton and Monroe County Heritage Museum are also within 32 miles (52 km). 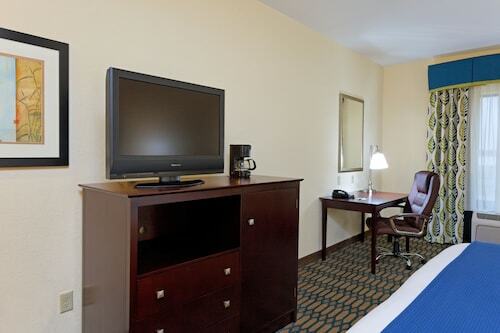 Situated in Brewton, this hotel is within 1 mile (2 km) of Neil Colonial Center and Jefferson Davis Community College. Brewton Heights Shopping Center is 2 mi (3.3 km) away. Situated in Evergreen, this hotel is 0.4 mi (0.6 km) from Reid State Technical College and within 3 miles (5 km) of Morgans Pond and Evergreen City Hall. Country Club of Brewton and Brewton Heights Shopping Center are also within 32 miles (52 km).